I am an absent minded person. I should have a beeper on my glasses, my phone and probably my mind, to help me find where they wander off to. 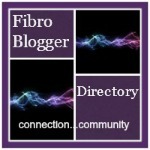 Fibro fog has made my memory even worse. Forgetting where you put your cup of coffee is an inconvenience, but forgetting your medication can be dangerous. As you can imagine, I sometimes forget whether I took a prescription or accidentally take two doses. I haven’t found a reliable solution. Using a medication reminder app is just another thing to forget. The PillDrill is different. It is a unique medication tracking system that has actually worked for me. What is it? The PillDrill hub looks like a digital clock (which it is, too). When it is time to take your medication, it flashes, beeps and shows the name of the medication(s) you have programmed it remind you about. These reminder features are customizable, in case you don’t want it to make noise or to flash. The PillDrill has a scanning function. The device comes with scanning tags that you attach to your pill bottles or a weekly pill strip provided with your hub. Once you have taken your medication, you scan it on the hub by touching the tag to the scanning button and it logs your dose as taken! The PillDrill is managed using an app from your mobile device or computer. It syncs using your wifi network. The app is used to create and edit your medication schedule, get reminders, and log doses on the go. You can set it up so that a loved one can also get notifications about your medication adherence. The PillDrill comes with a “mood cube” that lets you track how you’re feeling during the day so you can monitor your daily health patterns. Benefits: I have the hub on a side table in my living room. The flashing light ensures that I remember it is time to take my medications. On the go, the app notifications remind me on my phone. Scanning each medication has made sure I don’t accidentally take a second dose. Plus it’s kind of fun to scan the pill bottle! It’s helpful to have a record of when I have taken each medication for reference. Since I started using the PIllDrill, I haven’t forgotten a dose or taken a double dose. In addition, the device itself is aesthetically pleasing, and I like the teal and white colors. Cons: I did face a few challenges using the PillDrill. I chose to put the scanning tags on my pill bottles rather than the weekly pill strip. The problem is that, once the bottle was finished, I didn’t have another tag for the new bottle. You are supplied with only about 25 tags. If I had used the weekly pill strip provided, I could have reused the tags (because they go on the strip rather than the pill bottle). Alternatively, PillDrill provides tag holders, which are attached to a pill bottle with an elastic band and can be used for successive pill bottles. It would have been great if more than 10 tag holders had been provided so that I could have used them for all my supplements/medications. If you run out of tags, you need to purchase more from the PillDrill website. I recommend attaching the scanning tags to the weekly pill strip and using the tag holders. When I put the tag on the lid of a supplement bottle that was made with metal rather than plastic, it didn’t scan. This can be avoided using a tag holder, but it would have been helpful to have been warned about this in the product help guide. Finally, when I was attempting to sync the hub to my wifi network using the PillDrill app on my android phone, it was not effective. When I used my iPad, it worked easily. Having more troubleshooting instructions in the help guide would have been useful for this problem. Final thoughts: The bottom line is that the PillDrill is effective at helping you remember to stick to your medication schedule and is a useful product for anyone with chronic illness who takes a number of pills each day. The PillDrill is available here. Should You Try Yoga as a Treatment for Your Fibromyalgia?